It's a gusty day across the province! 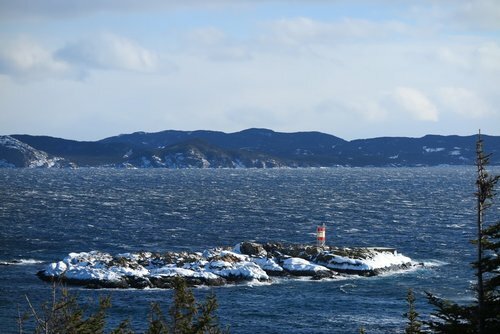 A blustery day on the bay at Little Bay Islands! Thanks to Michael Parsons for the share. 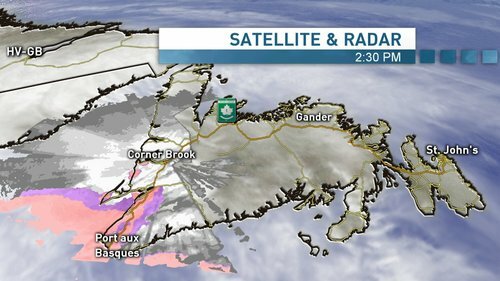 Drifting, snow squalls across the Avalon and Burin peninsulas, through central areas this a.m.
Gale warning and ice pressure warnings are in effect today, and departures have been cancelled. Next update will be available around 3:30 this afternoon. 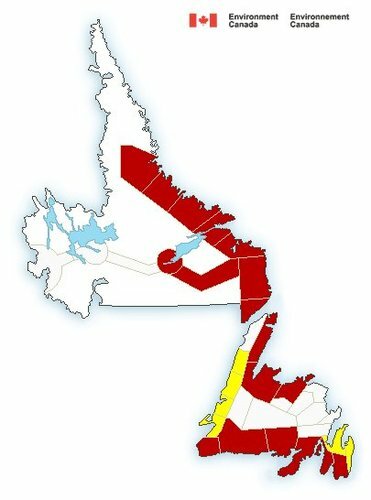 Gates are closed from Red Bay to Lodge Bay in Labrador due to high winds, causing drifting and whiteout conditions. 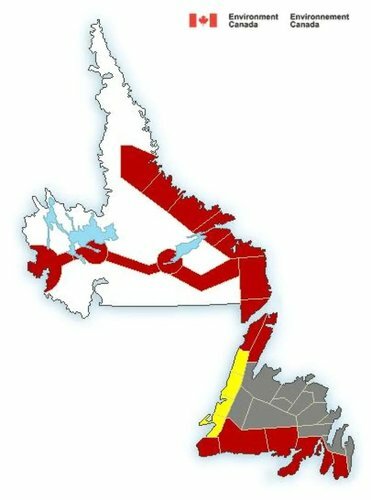 #nltraffic advisories this morning due to severe #nlwx conditions - too many to name individually. 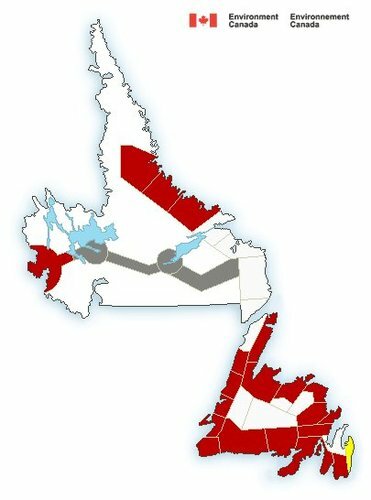 Adding Grand Bay West/East subdivisions to this morning's outages on the west coast, due to severe #nlwx .
.@NFPower crews are en route, and restoration is expected by 8:30 a.m. Still unknown what the restoration time will be for customers on Main Street, Stephenville. 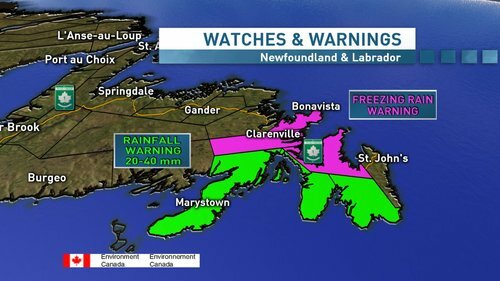 A host of #nlwx warnings again this morning, including extreme cold for western Labrador. 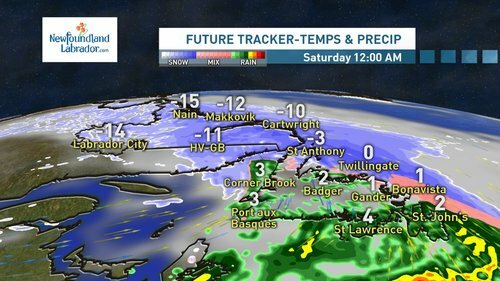 The wind chill in Labrador City is -44 at this hour.
.@NFPower is reporting an outage on Main Street, Stephenville, due to severe weather conditions. Cow Head to Plum Point; Pasadena to Corner Brook, and the North Shore. 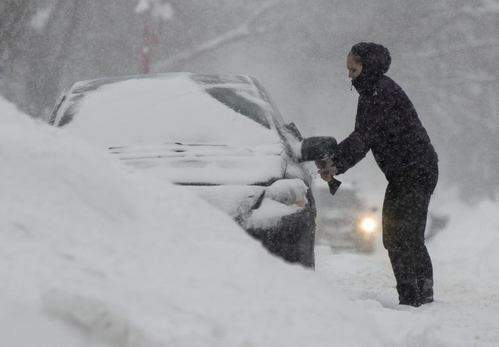 Zero visibility at times; equipment is on standby until conditions improve. Hang on to your hats! 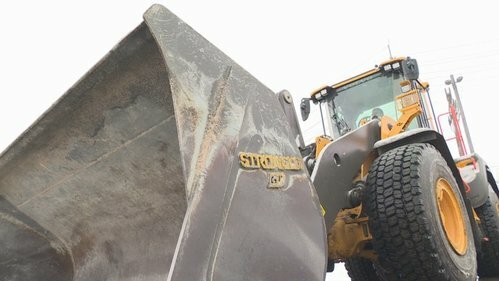 The winds are fierce in parts of the province. Channel-PAB is reporting gusts up to 139 km/h at this hour (!) - while at Wabush Airport winds are 50-76 km/h. The wind gusts in Bonavista are 96 km/h at this hour. A vibrant fishing stage, on a bitter February day. 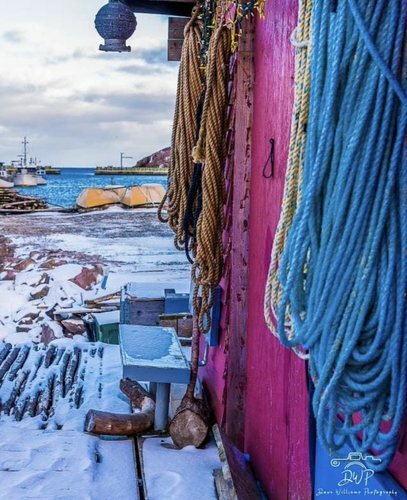 Thanks to Dawn Williams for this terrific photo, taken in picturesque Petty Harbour. 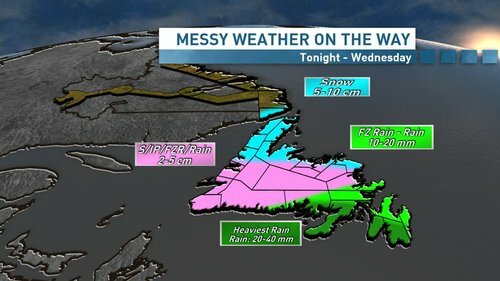 Lots of weather drama today, according to the latest map! Ramea-Grey River-Burgeo ferry users should note that the MV Gallipoli is stormbound at Ramea. Planning a day .@SkiMarble ? Closed this morning.
.@TW_GovNL advises motorists the road from Red Bay to Lodge Bay is still closed this morning. Gates are closed, as it's too stormy for equipment to operate. 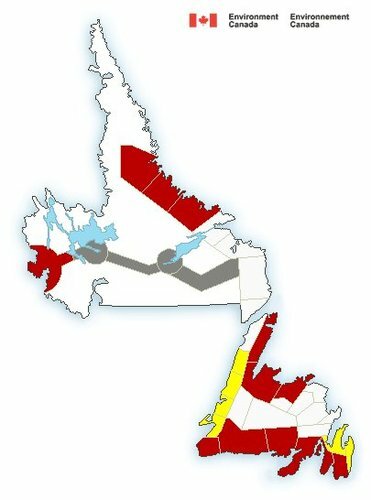 Users of the Qajaq W should note that due to a gale warning in effect, today's departures have been cancelled. 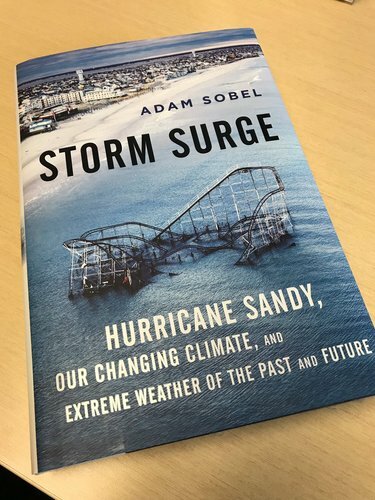 High winds up to 50 knots are forecast to persist through the weekend; next update will be available around 3:30 this afternoon. Electricity should be restored to Paradise, Karwood Estates, Kenmount Terrace areas by 7 a.m.
.@NFPower crews are on site and making repairs. 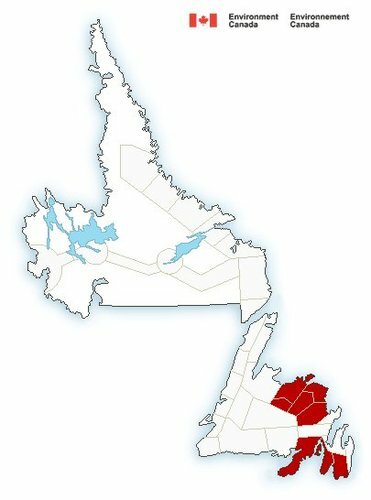 An extreme cold warning's been issued for western Labrador. 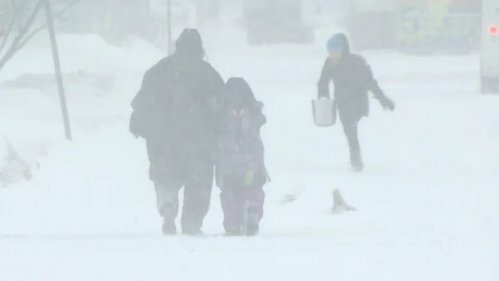 From Environment Canada: "A very cold airmass combined with strong winds is expected to bring wind chills of -45 overnight tonight and Sunday morning." 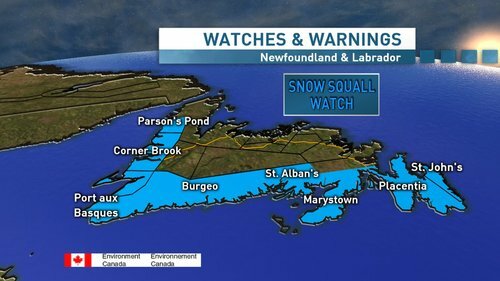 A colourful #nlwx map again this morning, with snowfall, blizzard and wind warnings - and a snow squall watch in effect. Seeing a few cancellations, delays at St. John's, Gander, Deer Lake airports at this hour. 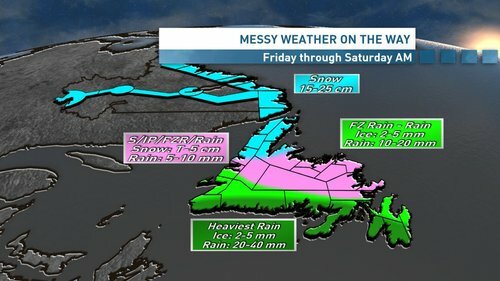 Although the rainfall warning has ended for the Avalon Peninsula, we've received a lot of rain overnight. Watch for standing water and risk of hydroplaning on the drive. 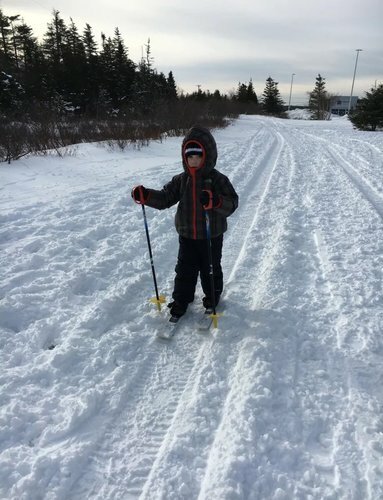 A first time on skis ... and going strong. Frankie Joy was having a great time at Neil's Pond in Paradise. Tx to Colleen and Craig Joy for the share! 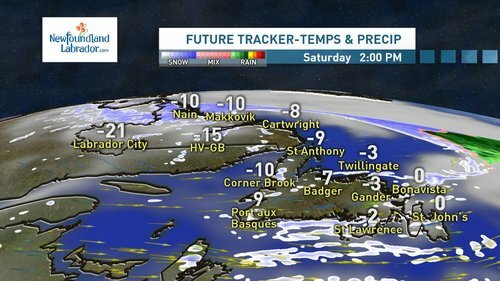 NEW | Bundle up and hunker down for a wet and wintry weekend across N.L. 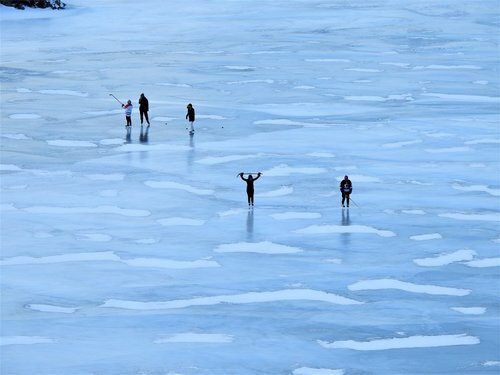 A great moment for a bit of hockey, or a skate! 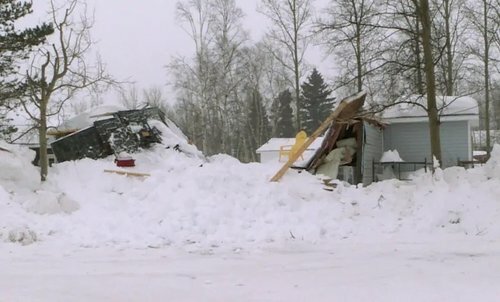 How much snow has fallen in Happy Valley-Goose Bay? 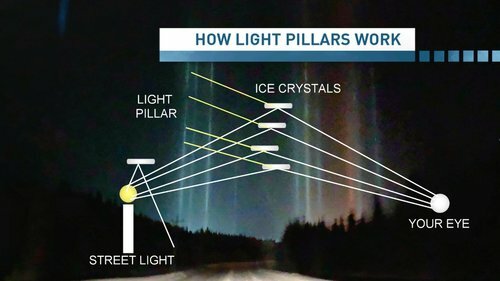 Enough to collapse a house, apparently.